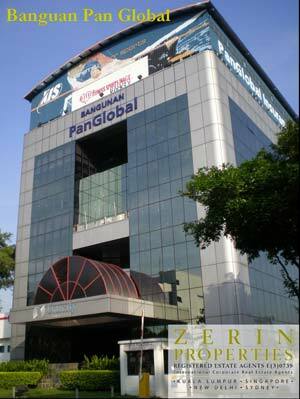 Bangunan Pan Global is located just 10 minute from PJ Old Town. The nearby amenities offer such as public transport, banks, F&B and hotel in the surrounding area. Bangunan Pan Global located next to Federal Highway and on Jalan Tandang where popular among light industrial factory and warehouse. Bangunan Pan Global is 7 storey building and divided into two area separate with a lift core in the center. Beside that the building offer facility such as gym, swimming pools and futsal court for their tenants. Bangunan Pan Global offering office space for rent and lease to the corporate sector with huge floor plate.